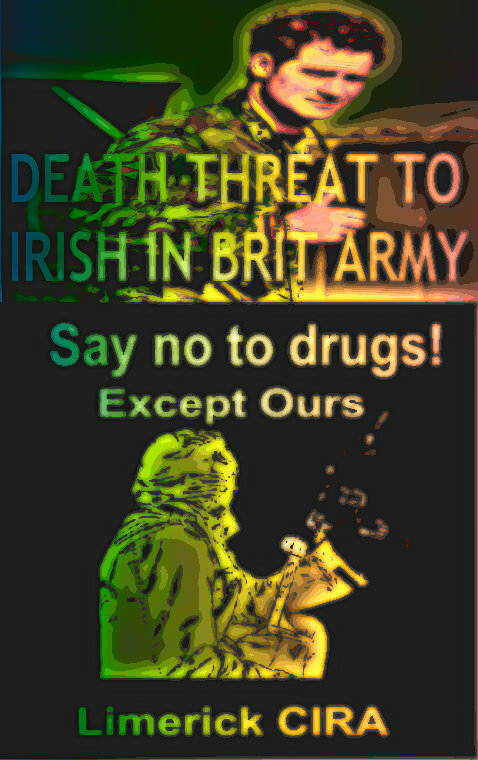 Dissident republicans have issued a threat to all Irish citizens who are serving in the British armed forces and warned that they are a “legitimate target” for the Continuity IRA. The threat was made openly in Limerick city on behalf of the |dissident group. The warning to Irish men and women serving in the British military, which came at an annual commemoration of IRA man Sean South, was issued on behalf of Continuity IRA prisoners. The event was organised by Republican Sinn Fein (RSF) and took place at the republican plot at Mount Saint Lawrence cemetery, which was closely watched by plain-clothed garda officers. The threat comes less than a month after gardai in Limerick foiled a Continuity IRA plot to murder a British soldier on a visit home to the city over the Christmas holidays. Michael Kiely, from Corbally, Limerick, read the Continuity IRA statement in front of 60 people at Sean South's graveside. “The moment you don a British uniform, you become a legitimate target for the IRA,” Mr Kiely said.